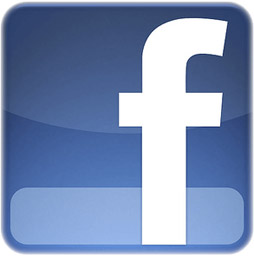 Facebook is the number 1, the best and the most successful social networking site. Despite how widely used the facebook is, There are a LOT of things people don’t know about facebook. So I decided to share some tips and tricks about the facebook with you guys. Lets assume that there’s a group full of pics or an album that you like so much and too lazy to save all these pics one by one. The solution is to use a firefox plugin called “FacePAD”. Once installed, just right click on the album link from the profile page or whatever, and you’ll see a new context menu for FacePAD! Choose where you wanna save the images and you’re done; Piece of cake! 2. Remove the annoying facebook advertisements. Well, I can already think of at least 10 ways to block or remove the ads. But I’m going to mention only my favorite 2. -The easy way is by installing Firefox plugin called “Adblock plus”; It is the best one for firefox users. It works on Google Chrome too which is awesome. From the facebook home page, scroll all the way down to the bottom of the page, You’ll find something that shows the current language you’re using e.g. [Facebook © 2010 English (US) ] Click the link and a list of languages will show up including “English (Upside Down) and English (Pirate)” which are really cool. 4. Hide your online status on Facebook chat from selected friends. To do that, Just click on the Chat icon on the bottom right corner, your online friends will show up in 2 lists; “Friends” and “Limited profile”. You can set a different availability status to each different friend lists. So, If there’s someone in your friends list you want to appear offline to, just click on “edit” next to limited profile, select that friend and click Save List. Now change your status for that list “Limited profile” to offline, And you’re done. That’s what I have in mind for the moment, If you have any questions please ask in the comments section below. Previous post: Tips to have a better and more comfortable time on the internet. Next post: Skinny girls are NOT hot!